The design of important infrastructures has to take the composition of the first (tens of) meters of the ground. The target depth depends on the size/weight of the intended structures. 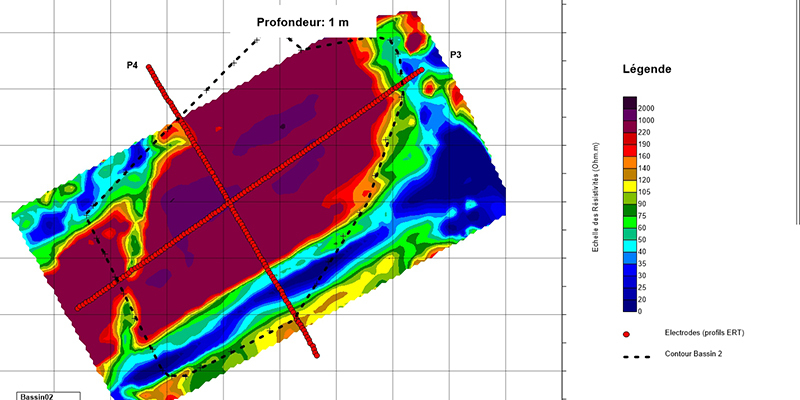 4 electric resistivity sections and 2 hectares of 3D electromagnetism have been acquired to characterize the lithostratigraphy in the first 10-20m below ground level. Resulting sections and depth slices have allowed for a 3D geological model of gravel, sand and clay units.